She’s turning three, the terrible twos are over, we thought. The threes are worse, they said. We didn’t believe them. Perhaps, we were mistaken… Sophia is as sharp as a tack. She’s far smarter than I thought she would be as a three-year old. She’s more advanced than I thought she would be at this point. It amazes me every day. You know what doesn’t amaze me? Living under the tyrannical reign of a toddler. Don’t even think about opening the gate at the bottom of the steps. Nope, that’s her job. Wanna go up the steps first? Don’t you even dare! She’s the line leader! Didn’t you know that? Don’t have an umbrella when running out of the car in a downpour? Don’t you even think about using her Sofia the First umbrella! That is HER umbrella! Here’s a question, hot-shot: you’re running late for work, your 3-year old doesn’t want you to comb her hair, she wants Mommy to do it. But, Mommy isn’t ready yet. And a meltdown is going to start in 3…2…1… WHAT DO YOU DO?! “You comb her hair, duh, you idiot.” Yeah, good luck with that one, jack. If you wanna know what it’s like to like under the reign of a tyrannical ruler like a toddler–just try walking on eggshells all day long. Or, run across a pit filled with snakes. Swim with sharks without a safety cage. Go rock climbing without any safety gear. You get the idea, I’m sure. I love Sophia, I do. She’s my buddy, she cracks me up regularly, and is WAY smarter than I am. But, holy hell, am I wishing that this phase of freakouts and meltdowns ends sooner rather than later. How do you deal with the freakouts and meltdowns? Share your tips and tricks in the comments below, on Facebook, and on Twitter. Right there with the tyranical 3’s!! walking on egg shells ! Hoping just like you it’ll pass by!!! We keep saying he’s BIPOLAR! “good morning mami! No, daddy gets me out of bed!”, “I want to walk solito (alone)! hold my hand mom! but i said i wanted by myself!” AAGGHH!! it really is insane… meltdown, happy, tantrum, whine, pure joy and energy! Feels nice to know I am not alone in the tyranny of a toddler! Could relate to every word! It is nice knowing we aren’t alone! I’ve had many people tell me in the last few days that they’re going through the same thing, too. Misery loves company. How do I deal with them? Tequila. No, but seriously, we are just at the beginning since she’s only 18 months. My wife actually said last night, “I’m scared of what’s going to happen.” I better stock up on the Patron. hahaha tequila may actually be the right way! Our youngest is at 20 months now and it’s starting for her too. So, I’m right there with you AGAIN! haha dude that is the truth! I have a three year old daughter and a one year old son. 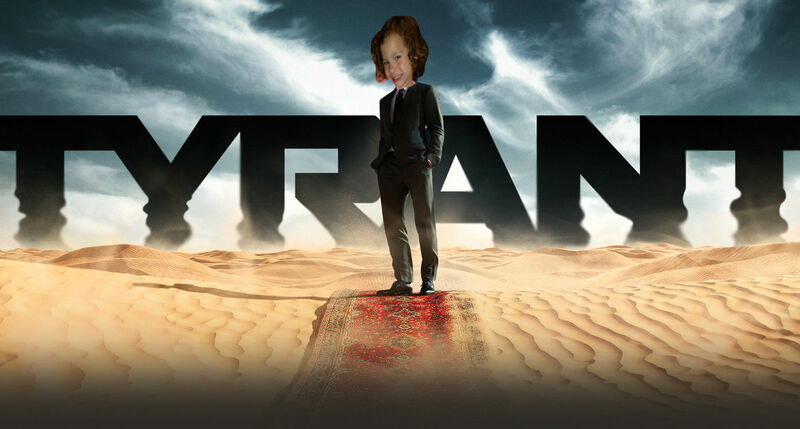 Naturally my daughter runs the show….don’t open the front door that’s her job don’t turn the t.v. on or off that’s her job don’t do anything for mommy cause she’ll be damned if she let’s someone else do it and don’t you dare, I mean not ever in your life touch that damned Elsa and Anna (Frozen) blanket, movie,toy or It’s going down but now the one year old is taking over and No matter what I do I can’t seem to move fast enough for him.His screams are loud and so uncalled fo. I find It’s easier if just wave the white flag and surrender to the toddlers. My poor 9 year old is planning his great escape and I made him promise to take me with him.